The evil I.N.K.T. Corporation has declared 'Colour is a Crime!' and leeched Chroma City of all its beauty and interest. 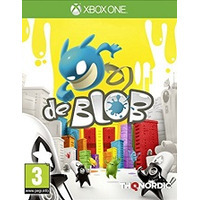 The race to rescue Chroma City has just begun and only de Blob can save the world from a black-and-white future with his unique abilities to colour the world back to life.